On this special Bay Area Council quarterly economic update edition of Bay Area Ventures we speak with Jim Wunderman, CEO of The Bay Area Council about the first quarter 2017 San Francisco Bay Area economy. Additionally we talk about the results of the Bay Area Council’s recently completed 2017 poll. Jim let’s us know what questions were asked and what were the top issues on the top of minds of Bay Area residents. In particular, which issue is considered a crisis. The Bay Area economy began 2017 on a strong note with robust growth in the tech industry, many large M&A deals and the lowest unemployment rate of any region in the state of California. However, all that success is not without some pain and the Bay Area still suffers from extremely high cost of living and horrendous traffic congestion. Jim and his organization have been working for years on policies and bills to address these key issues and, in the first quarter, several new laws were passed by the California State Senate to help. Additionally a $52Billion gas tax and DMV fee package was championed by Governor Jerry Brown and passed into law. In this episode Jim talks about all of these acheivements and how they will impact the Bay Area. He hints at when to expect these initiatives to make an impact and then discusses which key issues he’ll be working on next. The Bay Area Council is a public policy organization focused on making the San Francisco Bay Area and the Silicon Valley the most globally competitive and economically productive region in the world. The Council’s membership is comprised of CEOs from hundreds of the top businesses in the nine-county Bay Area. Jim Wunderman has been the Council’s CEO since 2004. For more information on Jim and to see the results of the Bay Area Council’s 2017 poll go to bayareacouncil.org. This interview was recorded on April 24, 2017, on SiriusXM Channel 111, Business Radio Powered by the Wharton School. Bay Area Ventures airs live on Mondays at 4:00pm Pacific Time, 7:00pm Eastern Time. Wenyi Cai, Managing Partner of Polymath Ventures and Jeremy Dann, Professor of Innovation at USC’s Marshall School of Business’ Lloyd Greif Center for Entrepreneurial Studies joined me on Bay Area Ventures to talk about entrepreneurship and its impact on economic development in emerging markets like Latin American and specifically in Colombia. Professor Dann is back for his third appearance on my show and this time he is here to talk about his new case study about Wenyi’s venture fund and incubator Polymath Ventures. The case, which like all of Jeremy’s 30 plus case studies, is used as a teaching tool for entrepreneurs and business students in businesses and business schools throughout the world. Jeremy is an expert at walking one through the challenges and issues that a company or managers face in real world situations. In this case Wenyi and her team face new and unique challenges creating, incubating and funding startup companies in emerging Bogota, Colombia. The issues include a rapidly changing political environment, entrenched traditional standards for financing ventures and a lack of infrastructure for supporting the needs of a fast paced venture-backed startup. Wenyi is a bright and dynamic woman who, at the age of 15, was working on fluid dynamics problems at the Argonne National Laboratory in Chicago. She went on to earn her degree in Physics from Harvard University and, while there, founded Tuesday Magazine. After college, Wenyi worked at McKinsey & Company on management consulting assignments in the Middle East, Africa and South Asia. She then moved to the San Francisco Bay Area and became COO of Milo.com. One year later Milo was acquired by eBay for $75 Million. Ms. Cai did not wanting to join another Bay Area startup and opted instead to start up her own fund and foster innovation and entrepreneurship in emerging markets. Wenyi and her team set out to identify the best place to found Polymath Ventures and settled on Bogota, Colombia. Professor Dann picks up the case from there and walks the us through Polymath’s earliest ventures. Wenyi and Jeremy discuss the case in detail and also offer their take on the difference between the Bay Area way of business vs. the startup and entrepreneurial environment in Colombia and other emerging markets We cover several of Polymath’s earliest ventures and found out how they have fared since Jeremey completed his research and published his paper. This is a rare opportunity for students of business, to learn from the protagonist of a case study. Recorded on March 27, 2017, on SiriusXM Channel 111, Business Radio Powered by the Wharton School. Bay Area Ventures airs live on Mondays at 4:00pm Pacific Time, 7:00pm Eastern Time. The first quarter of 2017 is in the history books and in this episode of The M&A Moment, Rick Climan, a partner at Hogan Lovells, LLP and I discuss the Q1 M&A results both world-wide and for the San Francisco Bay Area. In Bay Area technology M&A, we discuss Intel Corporation’s acquisition of Mobileye, the Israeli manufacturer of vehicle collision avoidance systems for $15 billion. This deal gives Intel a major leg up into the world of autonomous vehicles. Next we look at Hewlett-Packard Enterprise’s purchase of Nimble Storage for $1 billion. Then we talk about the volume of global M&A in terms of both overall dollar value and the number of deals taking place in the first quarter of 2017. We look at trends in the currency of mergers and acquisitions such as cash or stock and the preferences for each from the buyer’s or seller’s perspective as the year 2017 unfolds. We close our first quarter review with a look at what lies ahead for the rest of 2017. Finally, we take a look at the how M&A deals initiate. We discuss the “mating dance” of M&A from the buyer’s perspective. To do so we look at why buyers pursue M&A as a strategy. We discuss the teams they put in place to implement that strategy in order to select a target company and to initiate the talks. Who makes the first overture in an M&A deal, what do managers need to think about before doing so and who is the right person in the organization to make the initial call. Listen in to learn all about it. Note, next month we’ll take a look at the process from the target company’s perspective. This episode was recorded on Bay Area Ventures on SiriusXM Channel 111 Business Radio Powered by the Wharton School on March 27, 2017. 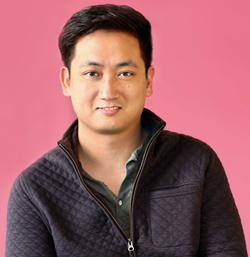 Tim Chen, Co-Founder and President of Nerdwallet joins me on my latest episode of Bay Area Ventures to talk about his journey from Wall Street investment banker to advocate for consumer credit choice and information. Nerdwallet is a site where one can find the best credit card, bank account, travel rewards plan, mortgage, insurance or other financial needs tailored to their specific needs, goals or tastes. The site walks users through some qualifying questions then draws on thousands of providers in every state for the best solution. Nerdwallet was founded in 2009, in Tim’s apartment in New York City, when his sister asked for help finding the “best” credit card for her needs. Nerdwallet moved to San Francisco when Tim’s co-founder came to San Francisco and hired an intern that was 10x more productive than the intern Tim hired in NYC. In this interview Tim expands on that discovery and talks about why the ecosystem and entrepreneurial hires found in the Bay Area are ideal for a growing startup. Through his work at Nerdwallet, helping millions of consumers, Tim has become Member of the Consumer Advisory Board for the Consumer Financial Protection Bureau, the federal agency created after the 2008 financial crises to protect consumers. He is also a member of the Board of Directors for the National Federation for Credit Counseling. He talks about high credit rates that consumers face and why it’s difficult to make changes. Tim, is a highly intelligent young entrepreneur who is dedicated to building an open and motivated workforce. Learn about how he and his team communicate to get work done and allow the company to scale rapidly. This is a great interview packed with lots of practical takeaways for your business. Recorded on February 13, 2017, on SiriusXM Channel 111, Business Radio Powered by the Wharton School. In this episode of the M&A Moment, Rick Climan of the Hogan Lovells law firm and I discuss Walmart’s acquisition of Jet.com for $3.3B and Analog Device’s acquisition of the Bay Area’s Linear Technology Corporation for $14.6B. Also, get an update of how 2016 M&A activity in the technology sector is shaping up compared to 2015. Alan Gassman and Erica Pless are tax attorneys in the the Clearwater, Florida area. Both are experts in helping founders figure out the right corporate structure for their business and personal situations as well as many other tax strategies for your business. In this interview we talk about the how to select a corporate attorney, the tax implications of options, tax planning for your exit strategy, paying minimal salaries and dividends in your S corporation, protecting your company in probate and many other critical issues. Stacey Dell, a partner with the accounting firm of Moss-Adams (formerly Mohler, Nixon Williams) of Campbell, CA, has been a tax accountant to startup ventures for two decades. In this interview Stacey talks about accounting issues for startups and high growth ventures. Find out about the different aspects of getting your startup company on the right financial and tax footing. Collecting and reporting of sales tax is a complicated task for any company, but a fast growing startup based on Bainbridge Island, Washington is changing all that. Avalara provides realtime automation of sales tax processing for online as well as brick and mortar retailers. The company automates the process of collecting sales tax, preparing returns for state and local jurisdictions, and also manages resale permits for your customers who purchase goods for resale. Marshal Kushniruk, Avalara’s Executive Vice President of Business Development, is the company’s first hire and is a serial entrepreneur with an amazing track record of success. In his interview on The Free COO podcast on July 19, 2012, Marshal talks about his distinguished career and tells us how Avalara is helping companies eliminate a tedious but necessary task by offering a cloud based automated sales tax system. Prior to Avalara, Marshal founded The Byte Stuff and Abacus Accounting Software, both highly successful startups. This was a fantastic interview, full of incredible insights and advice for any entrepreneur. Robert Weis, founder and CEO of CFOs2Go, a San Francisco Bay Area company offering contract and permanent financial personnel to startup companies discusses his company’s success and the critical factors that other companies need to be thinking about around their finances. Bob talks about when to bring in a CFO, how to establish bookkeeping, how financial decisions form the backbone of a new or established company and some of the pitfalls that founders run into when they don’t get this function right. This is a lively discussion suitable for any company and also covers issues relevant to US companies hoping to establish a foreign operation as well as foreign companies looking to penetrate the US market.